You will Watch G.I. Joe: A Real American Hero Season 1 Episode 32 online for free episodes with HQ / high quality. Stream cartoons G.I. 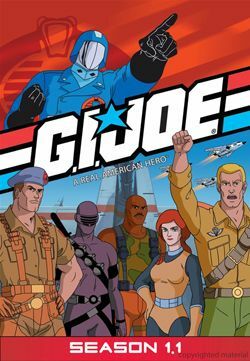 Joe: A Real American Hero Season 1 Episode 32 Captives of Cobra (Part I) The Baroness hires Storm Shadow to sneak into the Department of Defense to capture families of the Joes in order to retrieve highly explosive radioactive crystals.